– Since we assessed citizenM’s social web performance in 2012, much has changed – but not all for the better. – Like Coca-Cola, citizenM is discovering how hard it is to move from a broadcasting, to an engagement model where dialogue rules supreme. 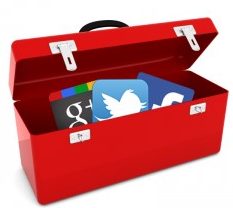 – We present some data from the DrKPI Social Media Audit Toolkit. Keywords: data analysis, cost-benefit analysis, social hospitality, ROI, social media audit, value proposition, return on investment. Social hospitality is all about making people feel welcome and part of a community. And of course, word-of-mouth has always worked, but it has little if anything to do with technology, and everything to do with relationships. wir hoffen, Sie hatten eine angenehme und gute Heimreise nach Zürich. Herzlichen Dank für Ihren Besuch und dafür, dass Sie sich die Zeit genommen haben, unseren Fragebogen auszufüllen. Gerade Ihre Meinung – als Re:publica Gast – ist für uns von sehr großer Bedeutung! Sie waren mit der Freundlichkeit unserer Housekeeping Mitarbeiter und unserem Internetangebot nicht ganz zufrieden. Bitte nehmen Sie für diese entstandenen Unannehmlichkeiten, unsere aufrichtige Entschuldigung entgegen. Ich habe Ihren Kommentar umgehend an unsere Leitende Hausdame und unsere IT-Abteilung weitergeleitet um hier schnellstmöglich Abhilfe zu schaffen. Sehr geehrter Herr Gattiker, es ist unser Qualitäts-Standard, dass jegliche Bewertung und jeder Gastkommentar ausgewertet und beantwortet wird. Somit erhalten Sie unverzüglich Feedback und wir haben des Weiteren am Ende jeden Monats und jeden Jahres einen ausführlichen und weitreichenden Überblick über unsere Verbesserungspotentiale. Herzlichen Dank noch mal für Ihre aktive Mithilfe! Wir würden uns sehr freuen, Sie auch zur Re:publica 2015 im Hotel Berlin, Berlin begrüßen dürfen. Ihnen und Ihrer Familie wünsche ich einen sonnigen Frühling. I then replied, clarifying that while housekeeping was great, they neither spoke German nor English. Asking them for help was, therefore, difficult. I also mentioned that the Internet speed in the room was dismal. Do you think I got an answer? Of course not, because customer service is not scalable. Accordingly, the process must be designed in such a way that it can handle the challenge. In other words, reply to the customer when a reply is desired. I certainly did not feel welcomed or part of the community. Did anyone care about my comment? Nope. Does the citizenM hotel do better? So is the Hotel Berlin a lonely example of having trouble coping with the barrage of client feedback? Here comes another case – citizenM hotel. 1. How would you describe the citizenM Social Media Strategy? Do you think the company punches above its weight? 2. Do you think citizenM uses Social Media as storytelling or sales strategy? Can you give us an example? Those two questions got me curious, especially since I had benchmarked citizenM’s social web performance in 2012, almost 21 months ago. What added value does the social media yakking, tweeting and bragging provide the mid-market traveller? Twitter – does anybody care? If you were to say citizenM is just trying out social media you would be totally wrong. citizenM has been using Social Media and other channels (e.g., print, roadside signs) since the company’s launch. However, its approach has not changed that much since 2012, when it all began. It still is based on broadcasting all kinds of things. citizenM’s (and its advertising agency’s) inherent belief that if you have a great hammer, the solution calls for a nail is completely wrong. If you have something broadcast, do – because people want to hear. Not so much. You are what you are doing right now – selfie – a photographic self-protrait taken with a handheld gadget. The result is a constant stream of updates. As a bystander, one wonders who wants to continually digest this type of content. Who has the time? Spreading tweets about hotel guests, re-tweeting their pictures and so forth will work. This assumption is fine, but have they tested it? And if so, is it correct? Using our DrKPI Social Media Audit Tool we can assess how well citizenM’s performance measures up in comparison to other hotels and restaurants. As the graphic shows, citizenM ranks 143 in comparison to all other hotel blogs in our ranking (get free LogIn to view charts THEN click graphic for more info). This is quite low compared to other hotels, some of them much smaller than citizenM. Not only is citizenM not doing well, it performs below average overall. As the chart below illustrates, the writing style (text complexity) makes it hard for readers to understand the post’s message (i.e. what is the story?). Moreover, knowledge transfer rarely if ever happens, since the blog does not link much to other resources to provide readers with more insight. Does this interest citizenM’s target audience? The so-called, mid-market traveller… with a lifestyle aspiration? The Social Media Audit helps assess how social media affects which key drivers (e.g., occupancy rate) that affect the hotel’s bottom line (e.g., return on investment – ROI). Unfortunately, it is unclear what added-value social media content the citizenMag blog provides the mid-market traveller, which is the market niche citizenM wants to serve. So why continue to broadcast on all channels? Why not conduct a social media audit and use this information to improve quickly? For instance, we know that the blog’s performance dropped from 2013 to 2014 (see chart below). Why is this happening to citizenM hotel? Please leave a comment below… we want to know what you think. – continuously trying to improve what they are doing. Some suggest that the amount of investment by brands in social (for resources, technology, advertising, etc.) is a clear signal that social media is working for them (e.g., Esteban Contreras), but I disagree. 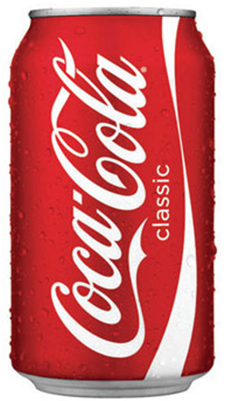 While Coca-Cola may spend a lot, it is still a small percentage of its total marketing budget. – be inundated with their bragging. This is clearly a blog where content provides readers a stream of consciousness narrative model and a lot of navel-gazing stories. Yes, I want a clean room with the usual amenities for a decent price. But does this hotel really know what its clients appreciate in their social media feeds? A good time for citizenM to return to the drawing board? Source – Case study: citizenM overtakes Coca-Cola? – Which company’s social media efforts provide YOU, the client, with added value? – What things or amenities matter the most when you stay at a hotel? – When was the last time you stayed at a hotel and got service that created a WOW effect? A brand investing on social will not result in gaining anyone’s love, not without something else providing some form of value to the consumer. My point about brands and budgets (regardless of total budgets, social media spend is rising) is about whether social is valuable to brands; it most definitely is. Unfortunately, most brands still use vanity metrics and are satisfied with old standards (total reach and impressions) instead of measuring actual traction against objectives. Thanks so much for writing this comment. Of course you are right, just being on social media will not automatically mean the brand is being loved. Moreover, vanity metrics or navel gazing analytics are too much kind of Web 1.0. Instead we need measurable objectives that help us better understand key drivers (e.g., how can social media be used to reduce calls to the customer hotline). Put differently, getting an ROI is nice but unless we understand what got us there (specifically how social media helped) will not allow us to repeat the feat next quarter. “but does have a lifestyle aspiration, what’s important to them and what do they look for?” in other words.. not being inundated with their “bragging” but yes becoming part of a family. I think the way of understanding citizenM comes from rules changing in hospitality. guest experience at the hotel, and that’s extended with social media. The company doesn’t evaluate the ROI on the relationship with their customers; it is the reason for their existence. We must understand the brand, the target audience and their reason of existence in order to write about it… For citizenM, travel is defined as on the move. Guests are the ones needing a room on the road and a hotel is a place while on the road to put your tired head to rest. However, citizenM has it’s own mag but is not blogging itself. In other words, citizenMag is a platform for relevant content in relevant cities for the relevant people in order to let them know the values and culture that citizenM has. It actually has the functionality of their concierge department that recommends people what to do in the city they are staying in order to make guests experience the cities as locals. the hotel they cannot expect them to like it all the time. nature. citizenM has a clear competitive advantage when creating online content thanks to their lifestyle hotel branding, which allows them to create and share interesting and valuable information instead of just wait for guest interaction. To sum up, improvement is always needed. In fact, time make things constantly change… Social media is a battleground, brand image and customer engagement are the key to be successful an citizenM does it well. Some recommendations of improvement will be: unrestricting the brand image, hummanizing the social media personality, the cooperative integration and of course communication integration strategy based. Here I state that citizenM ranks 143 in a ranking of hotel blogs …. i.e. companies in the same industry – hospitality and lodging. As well, the average score is 50 and citizenM is at least ONE Standard Deviation below the Mean. That is a very interesting statement. Unfortunately, I have not seen your numbers. If your thesis is somewhere available for download, please let me know where I can find it – URL, I gladly read about your findings>. It is always interesting to see the numbers. I provided Blog data from citizenM and other hotels an apparently suggests that citizenM could do better. For starters, it might want to rank within the top 10, for instance. Very important point. But how do you know that it is working? If nobody comments about these tips (e.g., I followed your tip visited this museum, attended…. and it was great…),how do we know if these postings make a difference in people’s lives (i.e. when visiting a town and staying at citizenM)? – no stellar Twitter engagement ration (i.e. <0.23 percent click rate on tweeted links). I suggest that based on these metrics and those Key Performance Indicators we use in the DrKPI Blog Benchmark – Hotels, things could possibly be done better? ==> Is this helping attract new customers? “mid-market traveller that does not have a deep wallet, nor personally or for business travel, but does have a lifestyle aspiration, …“? I am not sure… But maybe I just do not get it? 134 tweets each day…. potentially a lot of people that re-broadcast these. But what is the bottom line? I wonder if it is worth it but if you spend above $400 mio …. you probably look at this differently then I would? This shows very nicely that managing social media successfully – in the long term – is a labor intensive challenge. With CitizenM it appears that there is a lot of buzz. Put differently, clients love to see their own pictures or experiences at the hotel re-tweeted or mentioned. But who else really cares about such stuff…. is this not more noise and clutter?